AXIS F Series offers flexible, high-performance cameras that support HDTV 1080p and wide dynamic range, providing superb image detail in extremely discreet indoor, outdoor and mobile surveillance applications. They are ideal for ATMs (automated teller machines), banks, stores, hotels, as well as rugged environments such as emergency vehicles. 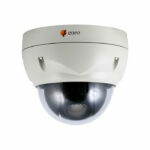 Based on a divided network camera concept, AXIS F Series comprises AXIS F41 Main Unit and AXIS F Sensor Units. AXIS F41 Main Unit houses the processor, network, power and other connections, as well as a memory card slot. It is connected to an AXIS F Sensor Unit, which consists of a lens and image sensor with a 3-m (10-ft.) or 12-m (39-ft.) cable. The divided concept enables the small sensor unit to be installed discreetly in tight places. The long cable from the sensor unit provides the flexibility to place the main unit where there is space. AXIS F41 Main Unit supports Wide Dynamic Range (WDR) – Forensic Capture, which enables details from both bright and dark areas of a scene to be visible; ideal for scenarios such as at entrances or in front of ATMs where the subject would usually be dark against a bright background. AXIS F41 also provides HDTV 1080p performance at up to 50/60 frames per second, ideal for capturing fast-moving objects and generating smoother video. 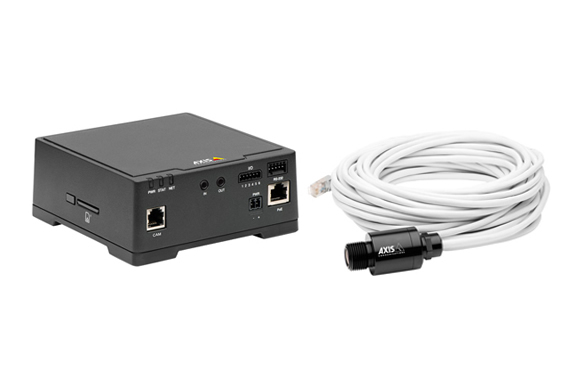 In addition, it supports audio in and out, RS232 for integration of external data to the video, four configurable input/output ports for connection to external equipment, and intelligent video applications. 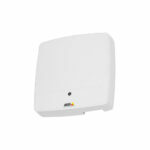 It can be powered by Power over Ethernet or an 8–28 V DC power supply. You are interested in the AXIS F Series? by admin	28. October 2014 0 Com.